We offer live (email and phone) and web-based support to help you get the detailed answers you need when you need them. From showing you how to use Shopfloor to explaining how the software performs specific functions or interprets the welding Code, we have the specialized knowledge required to answer your detailed questions. Live phone and email support is provided by Codeware staff in the United States. One Training Session is included with each Shopfloor license purchase. This training is provided by one of Codeware’s Support Engineers. 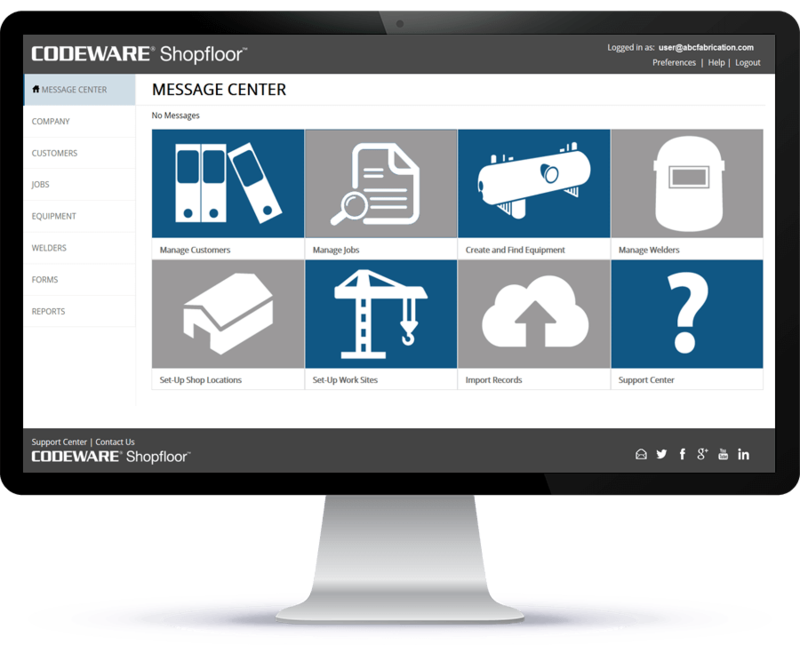 As Shopfloor is a native cloud application updates will be automatically installed for you as they become available. Questions? We’re here to help. For more information Contact Us or call (941) 927-2670.